About Us - Atlantic Used Truck & Salvage Corp. About Us - Atlantic Used Truck & Salvage Corp.
About Us - Atlantic Used Truck & Salvage Corp.
Atlantic Used Trucks & Salvage Corp.
Our auto recycling center has been providing superior quality used auto parts in New England for over 40 years. 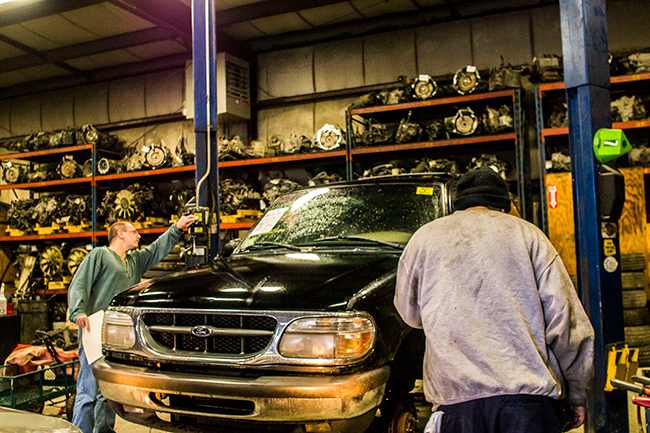 We use our years of experience to select exactly the right part for your auto or truck with confidence. Our parts are cleaned thoroughly and inspected and tested to meet your approval. Foreign or Domestic auto parts hard to find? We are dedicated to securing them for you with minimal turnaround time. Any used auto parts you purchase starts off with a 90-day warranty and extended plans are available for purchase to make a super deal even better. If you have any issues with a part or need further assistance we make it our mission to quickly find a solution or help you with your concern. We wish to merit your trust and build a relationship that will encourage you to share your great experience with us with your friends, family, and coworkers. Take a look at our great online parts locator and find your parts today! We look forward to your patronage!